Mae’r caneuon y sêl ein atgofion fel cwyr ar yr is-haen o amser. The flatwound strings thump at a leisurely but determined pace; a brisk 6/8 stroll with a skip of the heel, albeit one that is yet a step or two ahead of shoes trudging through the white drifts. An exploded transformer, swaying cables and weeping Magnolia add to the foreboding and tension. An eerie angelic chorus descends through the graupel as the sky turns from ash to dingy amber behind the blackened windows of the Lodge. Lagu yang segel kenangan kita seperti lilin di atas substrat waktu. IV-V-I triumphant stabs of the Mellotron puncture the air. An inefficient machine sputters and an old cog bounces out unceremoniously and skitters along the linoleum. 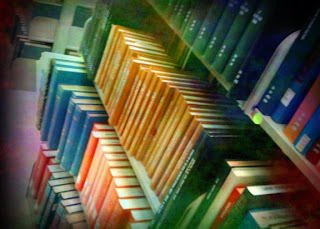 Pore through the fourth-floor tomes to sift for trivia. Pass the time in the 36th stratum. Browse the stacks and portals of the first-floor dayroom. The acute tattoo of the instrument signals not triumph, but finality.